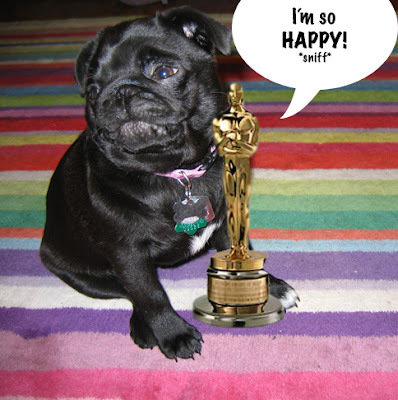 The 1st Annual Pugcademy Awards | Separated by a common language. She does look like she’s crying tears of happiness! Hihihihi!! Just like an academy winner! With a difference: Zelda, you are better and cuter! How precious is that picture. She is adorable. Was that for her performance in ‘Dog Soldiers’? What, no thanking of the publicist or the other little people?